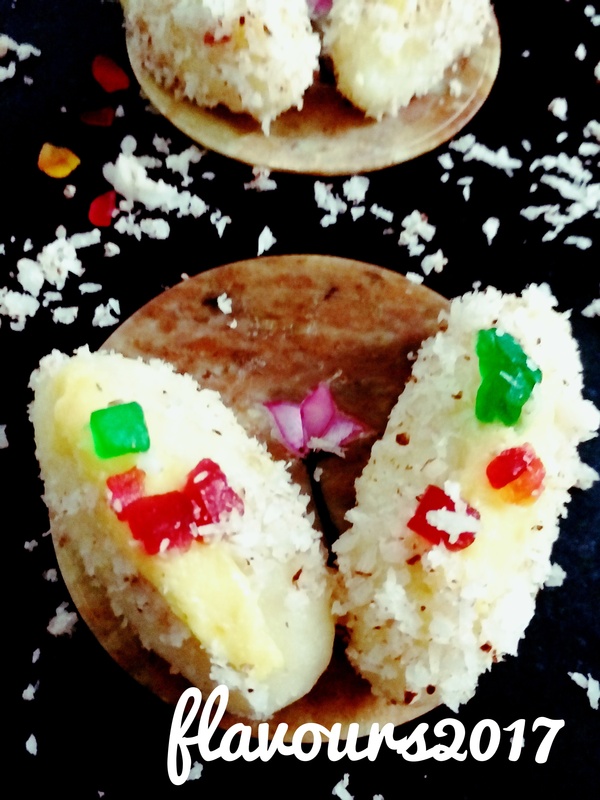 This is a typical Bengali sweet dish which is prepared in a similar way that of rasgulla, but this dish has a stuffing inside of kheer or mawa and is coated with desiccated coconut. 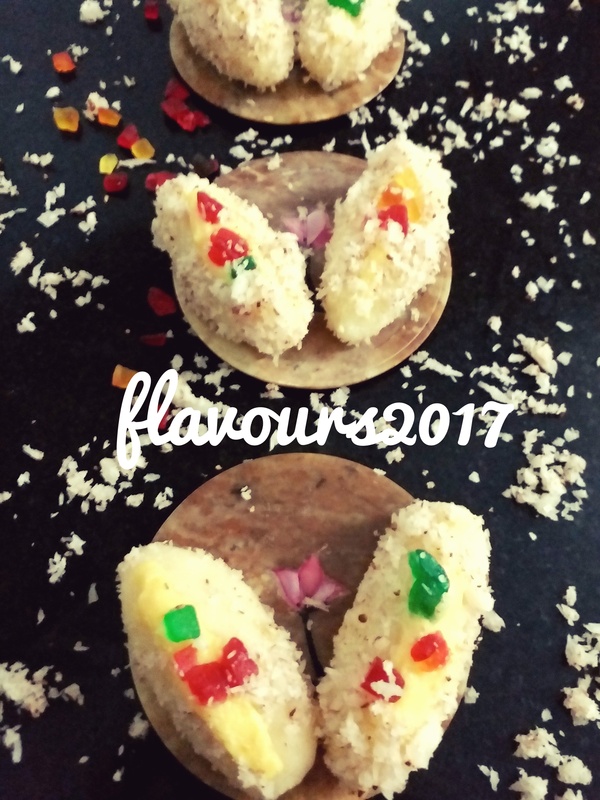 This is a sweet which can be had throughout the year but is enjoyed most during the festivals like Durga Puja and Kali Puja (Diwali). First of all we have to make paneer or cheena — which is done by adding lemon juice to boiling milk, when it start to curdle — we get our fresh paneer or cheena. 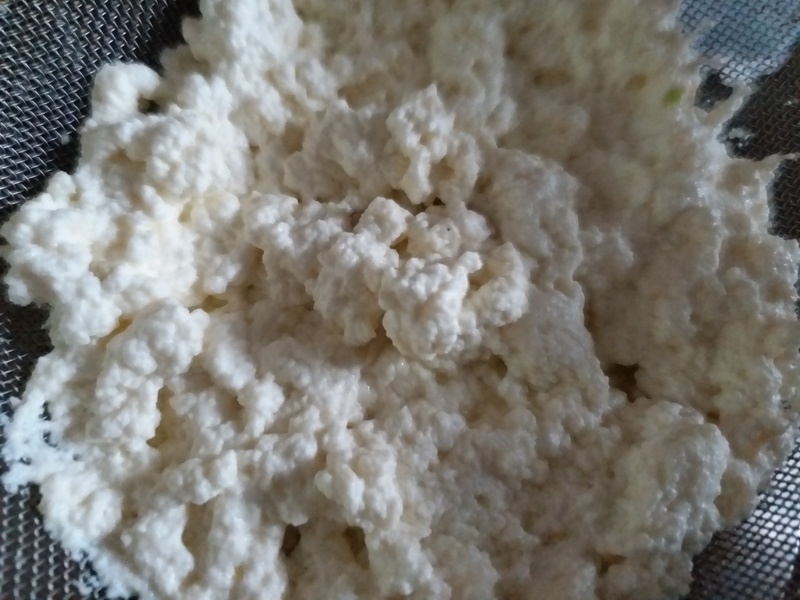 Tie the paneer in a fresh muslin cloth for about 1 hour and then keep it under heavy weight for another 10 to 15 minutes. Untie it and then transfer it into a large plate and crumble it with your hand. 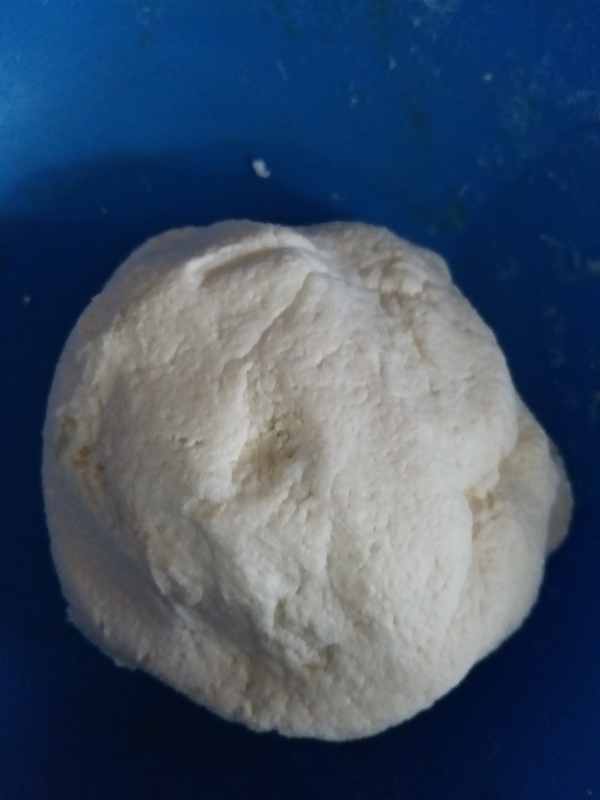 Divide the dough into 10 to 12 equal portion and make it oval shape. 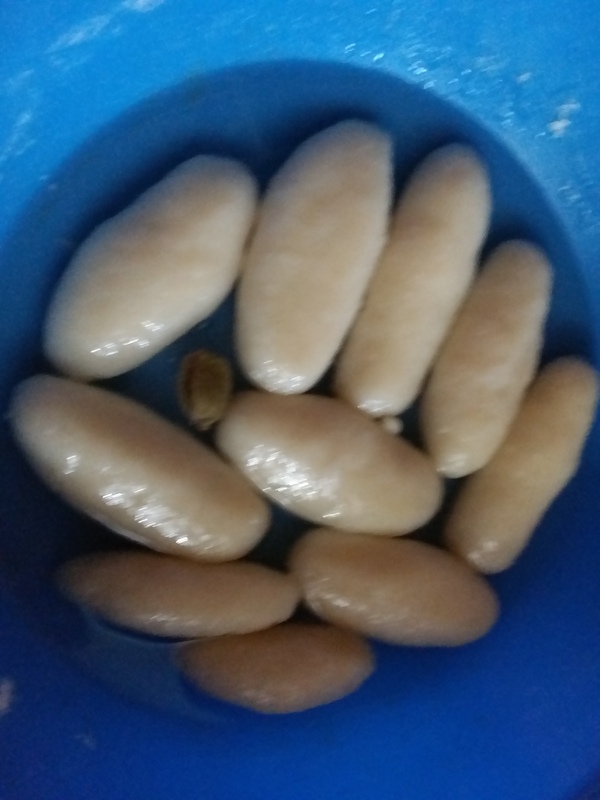 Take a deep bottomed pan and mix in sugar and water to make a sugar syrup,when it comes to boiling point , slide all the cheena ovals into the syrup , and keep it simmering on a medium flame for 15 to 20 minutes , till it doubles its size. Then transfer it to a large bowl and let it cool to room temperature, mix some cardamom powder or whole cardamom. 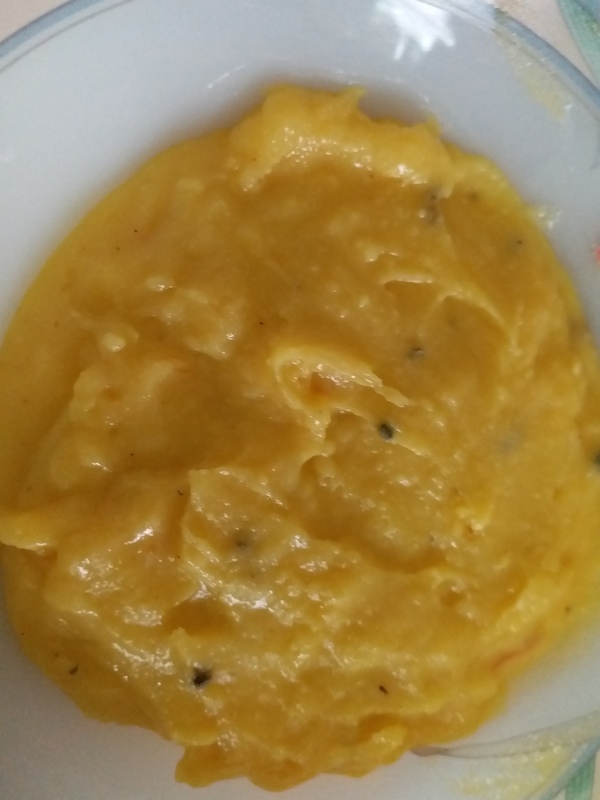 Take ghee on a pan and on medium heat mix in the milk , after it reaches it’s boiling point add in the khoya , sugar , milk powder and simmer gently on slow heat until it becomes thick or of kheer consistency. Mix in the saffron milk. Let it cool. Now drain the excess sugar syrup from the chamcham and slit it from the centre , and gently stuff it with the prepared mawa or stuffing and roll it in desiccated coconut. 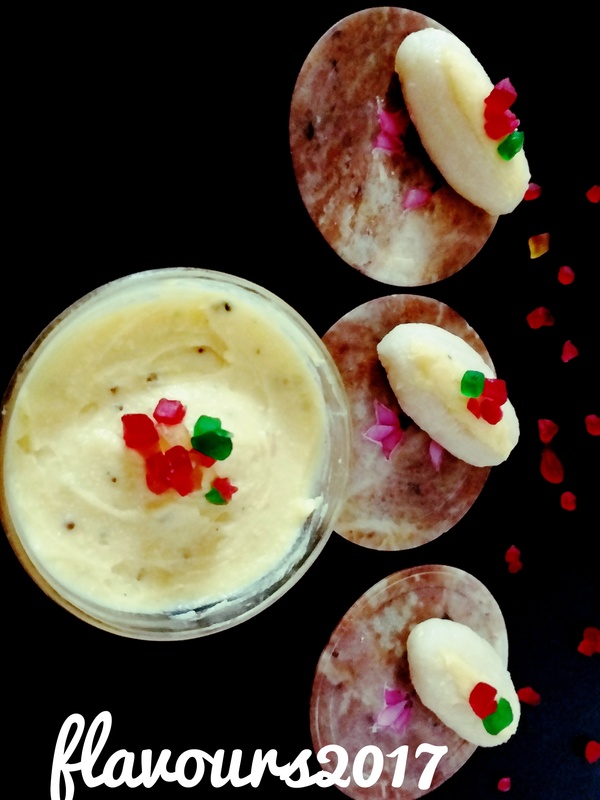 Repeat the steps will all the remaining ovals .Garnish it with pistachios or tutti frutti –here I have used tutti frutti for garnishing — Keep it in refrigerator for 1 or 2 hours . Serve it chilled. Mmm….yum! Love these delicious sweet! I am drooling here! Love Bengali sweets ! Yummm! Your post has made me want to go to India and eat these. Definitely going to try these at home! Mouth Watering…Wish can taste one of these..Superb !! Wowwwwwwww can’t wait to try these!